This Mastiff nicknamed Princesa,Buena sold and went to a new family. 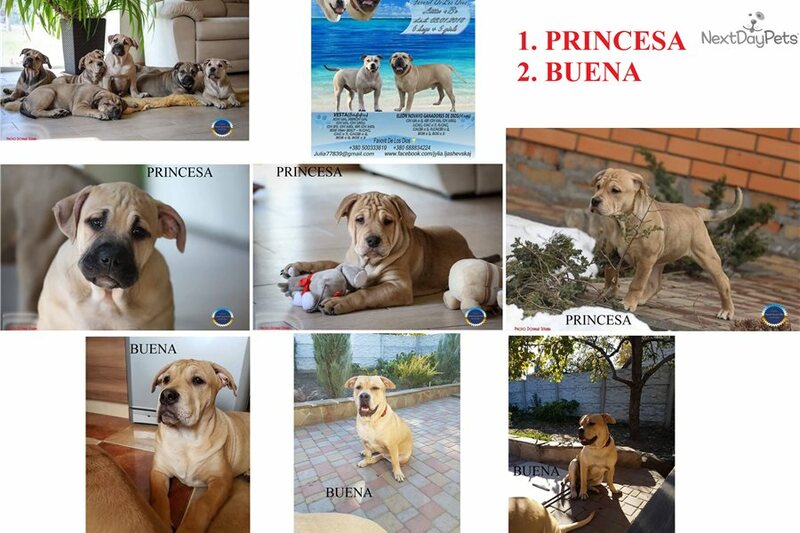 These beautiful girls are 9 months old (born on March 1, 2018), have all shots, microchipped, come with an international veterinary passport. Great pedigree, convertible to AKC. Extra $100 per puppy for the export pedigree (if you’re planning to breed).